Don Jazzy is actually among the artist listed by Forbes as one of the richest and most bankable artist in Africa. He is ranked as the richest Artist in Nigeria and also the fourth richest in the whole of Africa. According to Forbes, Don Jazzy was rated the 39th "Most powerful celebrity in Africa." Born Michael Collins Ajereh, he developed interest in music as a child in church before moving to the UK to pursue his musical dreams. Don Jazzy is rated as one of the best producers in the Nigerian music industry.He has also won many awards and has produced over 60 songs for artists signed under him and for some other recording artists. This post contains details about the current net worth of Don Jazzy in this year. Q: Don Jazzy Quick Facts? Don Jazzy's real name is Michael Collins Ajereh.He is a Nigerian recording artist, record producer and entrepreneur. Don Jazzy was born in Umuahia Abia State,but he hails from Delta stateDon Jazzy formed the record label Mo' Hits Records in 2004. The record label was later dissolved. On May 8, 2012,Don Jazzy floated another record label which he named 'Mavin Records'. Don Jazzy’s genre of music include Pop, R&B, Afropop, hip hop,he has been active in the Nigerian music industry since 2002. He grew up in Ajegunle, Lagos, an area considered as a ghetto,he later attended co-educational high school, Federal Government College Lagos. He also attended Ambrose Alli University, Ekpoma, Edo state,he studied business management studies. 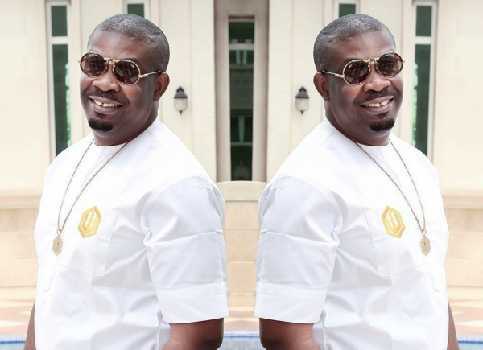 Don Jazzy's love for music started when he was just 12 years old,he showed interest in music and was able to play the bass guitar and some other instruments. He was later invited by his uncle who lived in London to come and play the drums for the local church,meanwhile while he was in London he went ahead and secured a job as a security guard at McDonald's where he met up with other Nigerian artists such as Solek, JJC, Kas, The 419 Squad and D'Banj. Don Jazzy was coached by Emeka Infiniti at O-Town record company where he learnt his production skills. Don Jazzy has also bagged some major endorsement deals including a Samsung endorsement,brand ambassador for Loya Milk,a Johnnie walker endorsement deal worth about 80 million naira,MTN deal and Konga endorsement deal. He also makes money from his signees’ singles release, event bookings and album sales. Ever since he signed and started producing songs for his artists like Korede Bello, Reekado Banks, Di’Ja and Tiwa Savage,his net worth has continued to rise. Q: Don Jazzy Net Worth? Don Jazzy is the richest artist in Nigeria according to forbes and is estimated to be worth between ₦700 Million Naira to ₦1 Billion Naira (USD $ 3 Million Dollars).